Free SoundCloud Followers & Plays Exchange! 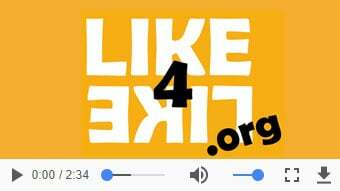 With SoundCloud and Like4Like.org you can share your posts easily across social networks like Facebook, Twitter, Tumblr and Pinterest and increase your search engine rankings! Join Like4Like.org community and become part of the SoundCloud community!